The owners, long-term residents of the house, wanted to expand the family home to house not just them but their children’s families as well. 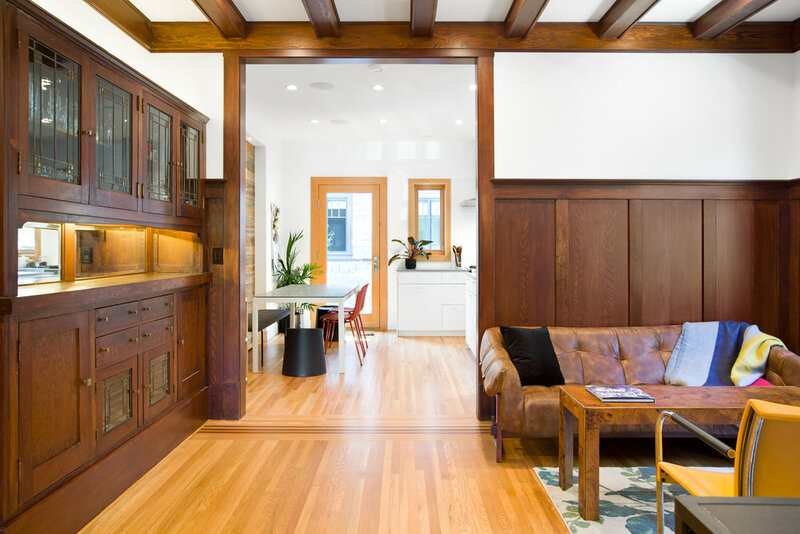 The original craftsman single-family residence was converted into a duplex and an infill house was added in the rear, ensuring that all the family’s space and separation needs were fulfilled. The house was suspended and set on a new foundation with precision as to not disturb the existing brick chimney and stone columns that were retained and refurbished.